Fondazione Zegna works on projects in Italy and the rest of the world to ensure continuity for the teachings and example of our grandfather Ermenegildo Zegna, who, in Trivero, imagined and realized a kind of philanthropy that was unique. Ten years ago, here in Trivero, we opened Casa Zegna, a special place where over a century of history is kept, in the form of documents, photographs and fabric samples. Its archives not only perpetuate our enterprise culture but are also co-generators of new ideas. It’s a place where art projects bud and inspiration for the future can be drawn. In these ten years Casa Zegna has seen young children having fun in workshops specially designed for them, former employees touched by old photos, experts talking about fashion, and artists and designers finding inspiration. In our temporary exhibitions at Casa Zegna we’ve been able to feature certain themes about which we feel strongly. “Roots and wings”, which closed just recently, enabled us to rediscover the spirit that Ermenegildo Zegna put into his social projects in Trivero: we delved into the past to better understand the present and focus on our own projects for social wellbeing in this territory, particularly for the young and old. Art has been a vehicle for social change. In the ProfilO project, students at Trivero’s hotel management school discovered their creative and expressive potential under the guidance of artist Gigi Piana and photographer Ewa Gleisner, who helped them explore contemporary visual art and performing art. The ALL’APERTO project engaged artists Alek O. and Laura Pugno, who designed workshops for local schools, while artist Valentina Vetturi created for Trivero a new stage in her Alzheimer Café project, a cycle of works based on her research into the relationships between memory and sound. Art but also education, to offer young people new prospects: from the musicians of Obiettivo Orchestra, who, in collaboration with the Filarmonica orchestra of Teatro Regio di Torino, gave an extraordinary roof-top concert at the Wool Mill in Trivero during the FAI Panorama Day, to the young people in the San Patrignano re-hab community who want to learn a new profession. For the last five years Fondazione Zegna has been funding its weaving shop (also appreciated and supported by Camera Nazionale della Moda and The Circle Italia Onlus), where 40 girls have learned a traditional trade and explored the values of beauty and craftsmanship through their own creativity. This experience is helping them recover their self esteem and exploit new professional opportunities. From social wellbeing to the environment: way ahead of his times, Ermenegildo Zegna worked on a vast area around Trivero (still the location of the wool mill he founded) to “embellish” his mountains with conifers and flowers, as if it were a vast garden open to everyone. Since 2011, in this same area, we’ve been planting a tree for every baby born to employees in our Group, and our Baby Forest now has over 900 trees! 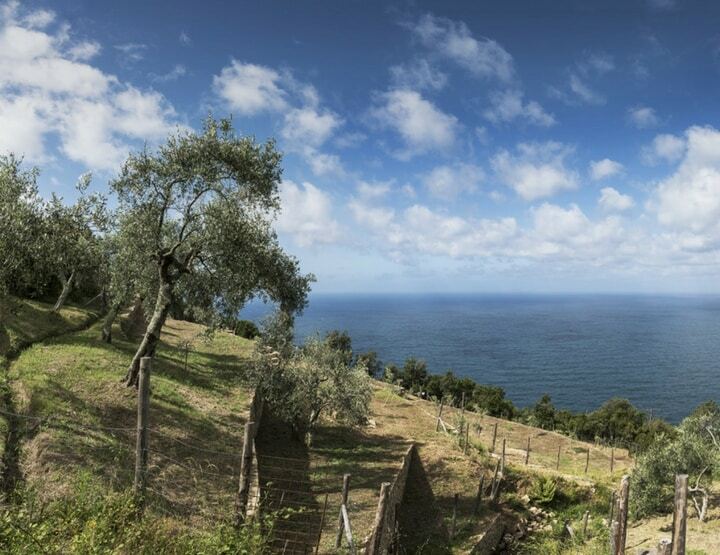 In the same spirit, Fondazione Zegna and FAI, in a 3-year project just completed, restored Podere Case Lovara, at Punta Mesco in Liguria, breathing new life into abandoned buildings and hectares of land devastated by neglect. Restoration of the rural architecture and original terracing made it possible to upgrade part of the estate’s olive groves and vineyard, thus safeguarding the delicate equilibrium of this fragile territory. The property can now be visited by tourists and is already working as a farm again, with biodynamic cultivation ensuring maximum respect for the environment, producing organic vegetables and excellent quality extra virgin olive oil. A heritage regained that everyone can enjoy. Fondazione Zegna wishes you a peaceful festive period full of joy and sharing, and a radiant 2018 rich in new projects and powerful ideals.